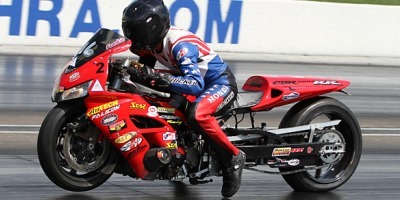 The most anticipated Mickey Thompson MIRock Superbike Series event of the year is going down October 4-6 with the Fast by Gast Fall Nationals, featuring Orient Express Pro Street’s biggest payout—the $10,000 to win Battle Royale! 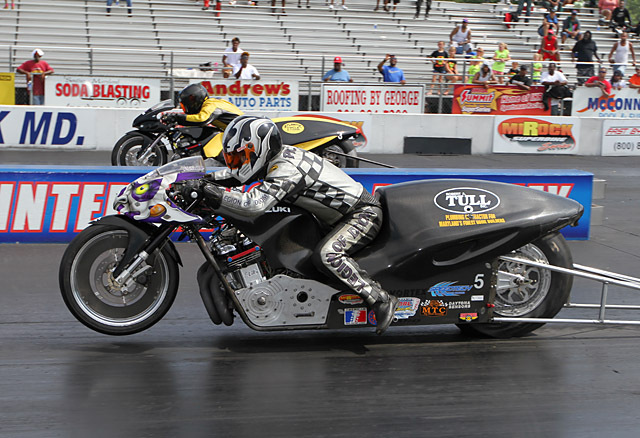 The world’s quickest, fastest streetbikes will be shooting for record times and trap speeds on Maryland International Raceway’s meticulously prepped quarter mile. 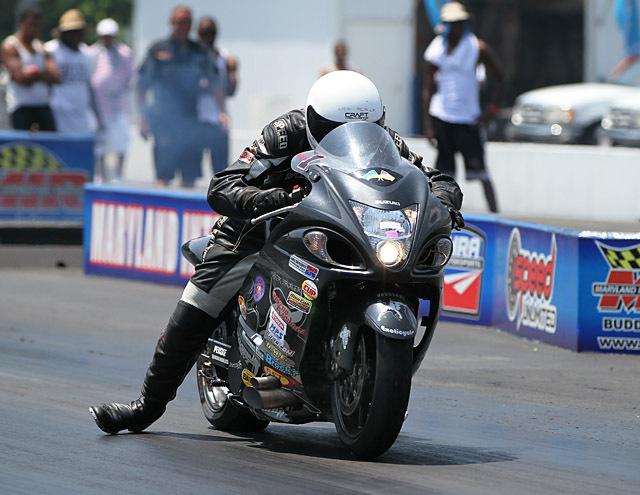 Don’t think for a minute—or even 6 seconds—that the other MIRock racers will allow Pro Street to steal all the thunder. 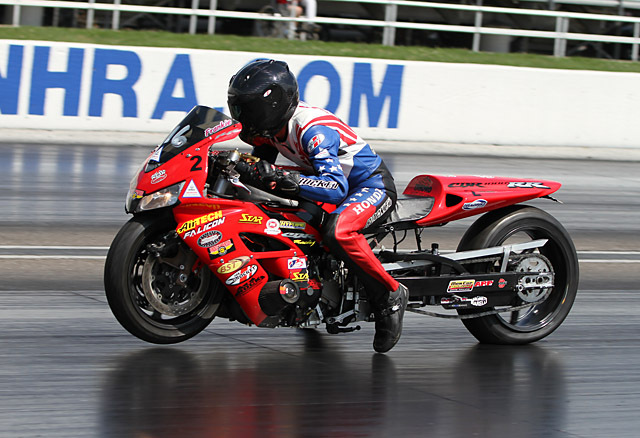 DME Real Street champ and recent Atco winner Johnny “Turbo” Dobrin will have the wick turned up as high as it will go on his Exoticycle turbo ‘Busa, as he chases down multi-time champ Jeremy Teasley’s Roger Starrette owned and tuned, nitrous- huffing Kawasaki ZX14. 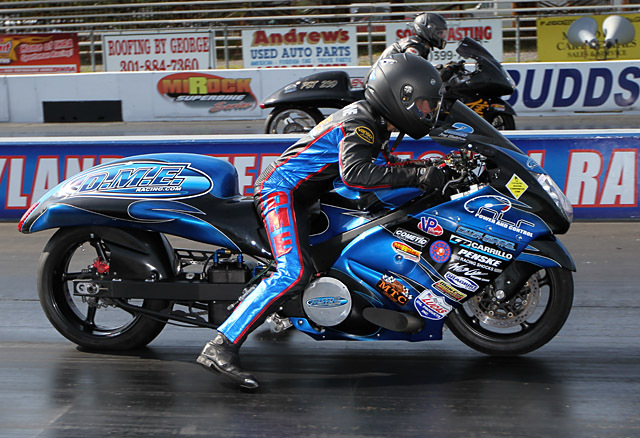 Atco number 1 qualifier Darion “Nanu” Payne and his Mike Mace Motorsports, nitrous Suzuki GSXR1000 will also be vying for the Real Street win, and how long will it be before Kawasaki superstar Rickey Gadson brings a gun to this fight and mounts a serious challenge? Also look for Eddie Murphy, Sherell Blake, David Merks, Anibal Merced and more to be blasting big nitrous pops at every shift down MIR’s 1320. 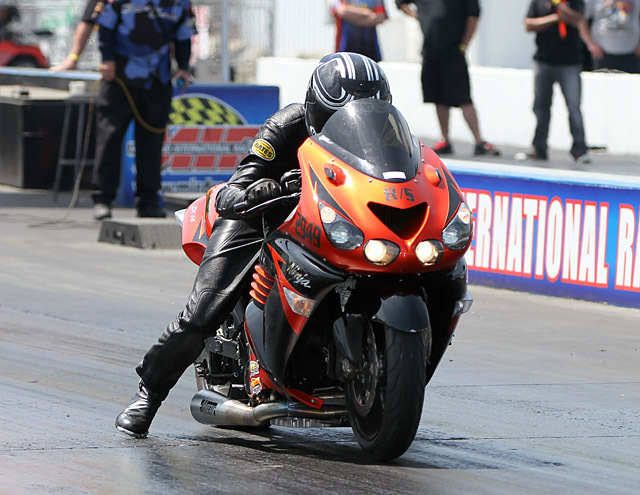 Brock’s Performance Street ET and Fast by Gast Pro ET are expecting over a hundred racers aiming for the last remaining spots for November’s Tournament of Champions at Rockingham. Anybody not in will have to run the gauntlet of Connecticut Kingpin Bob Carlson, MIR homeboy Shayne Proctor, Virginia’s Clay Davies, Floridian Robert Parker and more. 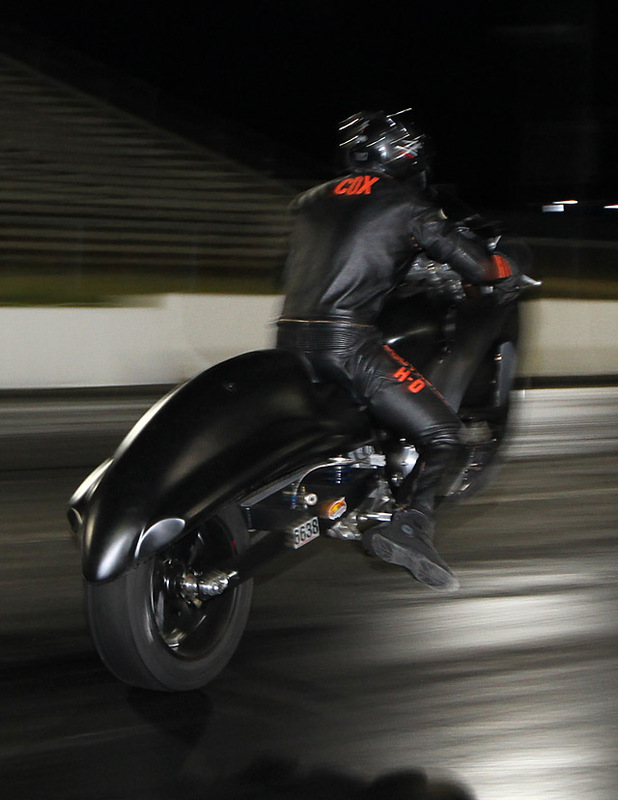 Saturday night’s Afterdark Undergound will feature, as always, the nation’s hottest grudge bikes—Cobra Commander, Ric Flair, Eddie Kane, etc—and coolest riders—Teasley, Payne, Schnitz, Richard Gadson, Lil’ Daddy, and then some.